in 12" skillet heat oil over medium heat add elk cook for 3-5 mins. stir together all remaining ingredients except sour cream and cheese. bake uncovered for 25-30 minutes till hot and bubbly around the edges. This is not my recipe but do not know where I got it to give proper credit. Cut your deer into small bits and drop them into a bowl of flour and then drop them in cooking oil. You can season the flower wichever way you want, but I found the tastiest way to make them is to drop them in the oil while the oil is very hot. Once the meat is seared you turn down the heat and let it cool for a while. Just before it's done pour in maple syrup and let it caramelize onto the meat. The flour batter should absorb quite a bit of syrup and oil, so you'll probably have to add more of both. Interesting idea to use maple syrup for this! Sounds good! Thanks, Jason. Steaks retain more juice if the cuts are thick (1 to 1 1/4"). Tenderness will be the guide for choosing dry or moist heat cookery. 1. Cut the long muscle fibers by pounding or scoring. 2. Soften the tissue by using acids (lemon juice, pineapple juice, tomato juice, vinegar, wine). 3. Use commercially prepared marinades or tenderizers. Use dry heat cookery for tenderized or already tender cuts. Cook quickly over high heat. To make mirepoix, melt 1 Tbsp. butter or margarine in a sauce pan and sauté vegetables slowly until limp. Add bay leaf and beef broth. Simmer gently for 5 minutes. Trim excess fat from sides of meat. Slash sides to prevent curling. Sprinkle steak with salt, pepper and garlic powder, then dredge in flour. Melt 2 Tbsp. butter or margarine in a heavy skillet over medium heat. Brown steak on both sides. Add mirepoix. Cover skillet tightly and simmer over low heat until tender (about 1 1/2 hours). Serve venison in large pieces with some sauce spooned over each piece. *Mirepoix is a classic mixture of vegetables and liquid used in French cooking as a flavor enhancer. In a Dutch oven or large saucepan, brown venison in oil. Add onion; cover and simmer for 10 minutes or until tender. Add remaining ingredients; cover and simmer 1 hour longer or until meat is tender. I have had to use this recipe far too often. With Luck, this will be the last time you use this recipe. Thank you for posting this recipe. I shared this with my family they enjoyed the humor in it. Not a very good hunting season. Chop meat in bite size pieces and brown, add onion, cook until onion is done. Sprinkle flour on meat and warm. Add water and tomato sauce while stirring constantly, mashing out any lumps. Add all seasonings and continue stirring until thick. Spanish rice, refried beans, tomatoes, lettuce, cheese, guacamole, hot sauce. This is an easy, delicious recipe! Elk, Deer Roast, or chicken (6-8lbs.) or mixture of . Boil Meat for 2-3 hours until tender. Cool. Save broth. Shred meat in small pieces. Cover and refrigerate until ready to make tamales. Soak corn shucks in warm water for about two hours until soft. Then 2 cups of the warm broth one at a time. If you don’t save broth use bullion or canned broth. Mixture should be consistency of peanut butter. Add more broth, or more masa till right consistency. Use less spices according to individual taste. Take out corn shucks and pat dry on towel. Pick up a shuck in palm of hand. Scoop ½ c. of dough, with spatula or hands smear on shuck covering about 2/3 of it, leaving 1/3 on outer side of shuck uncovered, and 1/3 on bottom. Spread about 1 Tbs. of meat mixture on the masa edge of dough. Roll up shuck to the outer edge. Then take the bottom 1/3 w/o masa and twist and fold upward to keep in place. Repeat until dough and meat are used up. Makes approximately 4 dozen. To cook tamales, steam them in a steamer. (Or, create a steamer from something you have, like a turkey roaster. Or,steam them in a big turkey roasting pan in the oven.) Folded end of tamales on the bottom, open end on top. Cover steamer, and bring water to a boil. Reduce heat to medium and cook for at least 2 hours. Do not let steamer boil dry. Add water as needed. At 2 hours take one out to test. Cook, unwrap and it should be firm with no raw dough. Cool remaining tamales and freeze in zip lock bags. Can be stored in freezer. Fold from both sides and turn burrito over to prevent opening. Spread some more chili and/or salsa over the top of the burritos. Sprinkle a couple of tablespoons of cheese. Garnish with sliced black olives and diced tomatoes. Add sauteed onions inside or on top, if desired. Bake on oven safe plates or a pan in oven at 350 degrees until cheese is melted and bubbling. If desired, spread guacamole over the top before eating or slice avocados for a side dish. 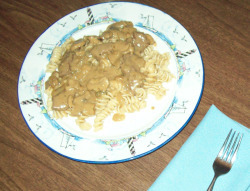 Adapted from “Beef Stroganoff” at www.cookinglight.com. *For easy cutting, only defrost about half way, to the point that you can cut the steaks with a knife. Cutting half-frozen steaks is easier than cutting completely defrosted steaks. **For an extra nutrition kick, replace the “egg noodles” with whole wheat eggs noodles or brown/wild rice. For Smaller batch cut ingredients in half. Mix all ingredients in a bowl except the butter, water and flour and pour into a 6 quart Crockpot and stir. Turn on high. Melt butter in a frying pan, put venison in the pan, dust with flour and brown the venison. Stir the meat into the Crockpot and cook on High for 4 hours or low for 8 hours. 15 minutes before serving mix the 4 Tablespoons water and 4 Tablespoons flour in a jar, shake well and pour into Crockpot while stirring to thicken. Serve over pasta or Rice. We tried this recipe and found it to be superb! Add ground elk and elk sausage to skillet and cook until browned. Remove meat from skillet and set aside. Add butter and bacon to skillet and proceed to sauté chopped celery, carrots, zucchini, onion, shallots and fresh tarragon. Approximately 10 minutes. Season with salt and pepper. 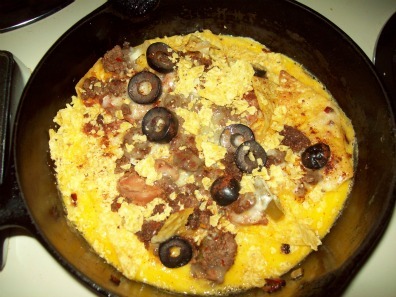 Add mashed potatoes, elk meat and cheese to pan. Remove from heat and stir. On a floured surface, roll 1 pastry sheet to be the size of your pie dish. Place the pastry sheet on the bottom of the dish. Transfer meat and vegetables into the pan. Brush the outer edge of the bottom pastry sheet with egg wash. Roll the second pastry sheet out on floured surface and cover the top of the meat. Press and close the edges of the pastry sheets together. Brush top of the pastry sheet with remaining egg wash. Season with salt and pepper. Cut an ‘X’ into the top of the pastry. Bake for approximately 45 minutes. Watch the edges of pastry so not to burn. Remove from oven when done and enjoy. USE A SMALL CROCK POT FOR THIS RECIPE...THAT IS UNLESS YOU'RE FEEDING AN ARMY & ARE COOKING A REAL BIG ROAST!! Put the roast in crock pot. Mix other ingredients (except the buns) & pour over the meat. Cook on LOW all night. Next morning, turn the meat over & stir the juices...return meat to pot & continue cooking for the rest of the day. Mine cooked for between 24 & 30 hours. It just fell apart like pulled pork. When you're ready to eat...open your hamburger buns & spoon about a couple tablespoons of the juice onto each 1/2. Add the meat...and sauce. Make this earlier in the day to allow the flavors to meld. 3 T. cream style horseradish sauce. I prefer "Beaver"...seems to have a better & more consistent flavor. Mix well. Refrigerate...tightly covered. Best if used within 2 weeks. Brown the meat in the fat. Stir in the soup, onions, salt, chili powder, tarragon leaves, pepper, kidney beans, and red pepper. Simmer 20 minutes. Serve hot over rice. Note: Be sure that the meat is used immediately after thawing. Ground game meat, because of its high bacterial content, often spoils faster than other ground meat. Cook meat thoroughly! Get out your big cast iron skillet. Put the oil in & start browning the meat. When nearly all browned…add the crushed garlic…BE CAREFUL IT DOESN’T BURN. Turn all this into your crock pot. Add remaining ingredients…mix it up well. Put the lid on….turn the heat on HIGH … & let it cook for a couple hours …or until it’s starting to bubble real good. Then turn heat down to LOW & let it cook for 6 or 8 hours. 4 T. Cornstarch mixed with 4 T. of the stew juice. Mix well. Put the lid back on & let it cook until thickened & you’re ready to serve with BIG THICK slices of bread or cornbread. BE SURE TO START THIS THE DAY BEFORE YOU WANT TO SERVE IT. THAT GIVES TIME FOR IT TO SIT OVER NIGHT & RE-HEAT THE NEXT DAY TO BRING OUT THE BEST OF THE FLAVORS!! Thank you for your kind comments. I LOVE to cook & have done lots of it over the years. I agree about not eating the stew until the next day, Mardee. In this fast food world, we lose the value of waiting for something worth waiting for and for savoring the little pleasures in life. Thanks for contributing to this site! Please use the Forum or Contact Us page to stay in touch, if you will. For a good elk steak, all you need is salt and pepper with it over a charcoal grill. Elk steaks on the grill- Don't cook well done! I like to keep grilled elk steaks thick, so they don't dry out on the grill. They are best not overcooked as they dry out easily. Just a little bit of pink left keeps them tender and moist. Butterflying works well for lean elk steaks. Just mix all the cucumber sauce goods together! Stir well! To keep it cool, refrigerate. 1. Whisk together the olive oil, cumin, garlic, marjoram, rosemary, oregano, red wine vinegar, salt, and pepper in a large glass or ceramic bowl. Add the elk strips, and toss to evenly coat. Cover the bowl with plastic wrap, and marinate in the refrigerator at least 2 hours. 2. Heat a large skillet over medium-high heat. Cook the elk strips, a half pound at a time, until the strips have browned and the outside and are no longer pink on the inside, about 8 minutes. Pile the meat onto warmed pitas to serve. 3. Top with cucumber sauce, and enjoy! Just bought all the ingredients and boy howdy they smell great! The 350 bull elk strips are marinating in the refrigerator as we speak...stay tuned for further delicious details. Man, I love gyros! Thanks for this recipe! We're going to give it a try. •2/3 cup prunes, pitted – I didn’t have either prunes or apricots on hand so I went with raisins instead, but do use prunes and apricots if you can find them – they are absolutely delicious in meat dishes – especially prunes. •3 to 4 cups beef or antlered game stock - I used 50/50 beef stock and Merlot, and added enough liquid to nearly cover the contents of the pot. Put all in crock pot or large pot and cook on low for a couple hours or more. Stew slowly overnight with tight lid, if you have time. Adapted from Georgia Pellegrini‘s book, Girl Hunter. Cook elk, onions and peppers until done. Add remaining ingredients with varying amounts according to taste. Cook on low for ½ hr. You might need to add a little more ketchup if it cooks down too much. Heap onto sandwiches. Serve with NAPKINS! They don't call it "sloppy" for nothin'! In a large skillet, sauté fresh mushrooms and onion in 3 tablespoons butter until golden brown. Remove and set aside. Brown meat on all sides (15 minutes). Dissolve bouillon cubes in boiling water; pour over meat. Add tomato paste, mustard, and salt. Simmer 45 minutes or until meat is tender. Combine flour and water. Slowly stir into meat mixture. Cook, stirring constantly, until the mixture comes to a boil. Reduce heat. Add mushrooms, onions, and sour cream. Heat but do not boil. Serve over hot rice or noodles. Remove all fat from venison roast. Place in a roasting pan and rub with salt and pepper. Sprinkle onion and Worcestershire sauce over roast. Cover roast with bacon and lemon. Roast covered, at 325EF for about 4 hours until tender (meat thermometer should read at least 160ºF). Add a small amount of hot water, if needed. Break bread into small pieces and combine with ground venison, salt, oregano, basil, pepper and onion. Mix thoroughly. Shape into small balls about 1 inch in diameter. Chill for 15 to 20 minutes. Brown in butter or margarine, turning frequently. Cover pan. Turn heat to low and cook for 15 minutes. Remove meat balls and use or freeze. Mix together and add 20 meatballs. 1 can or equal amount of fresh cooked green beans. Mix together and simmer on low for ½ hr. stirring occasionally to prevent burning. This recipe is good with the potatoes in it or served over noodles, rice or mashed potatoes. This is a really simple way to get in more vegetables. Spaghetti noodles are simply replaced with sliced squash. Slice any combination of zucchini and yellow squash to halfway fill a baking dish. Bake covered until soft and then drain the water. Pour your favorite heated ground elk spaghetti sauce over the squash, adding some extra garlic. It takes about 1 quart of spaghetti and meat sauce to make four to six large servings. Grate your favorite cheese over the top and bake until cheese is melted and bubbly. Serve with parmesan cheese. Combine soup mix and water in a bowl; let stand for 15 minutes. Add the preserves, salad dressing, brown sugar and vinegar; mix well. Place elk meat in a greased 13-in. x 2-in. deep baking dish. Sprinkle with salt and pepper. Pour apricot mixture over the elk. Cover and bake at 350 degrees for 45 minutes. Uncover and bake 30-40 minutes longer or until meat is fork-tender. Serve over rice. This receipe was awesome! The only thing I will do different next time is remove the meat after cooking and thicken the sauce with some cornstarch or flour! When you have leftover nachos, use them in a skillet breakfast. Leftover nachos lose their appeal, but this will revive them and even make you want to have some leftover to use for breakfast. Saute some diced onions and bell peppers, if desired, in a small skillet. Scramble two eggs per serving in a bowl. Pour equal amounts (2 eggs each) in sizzling platters or small iron skillets. If using sizzle platters, put the eggs in the oven on bake at 450 until the eggs just start to harden up. If using a small iron skillet, cook the eggs on the stove over medium heat until they are almost hard. 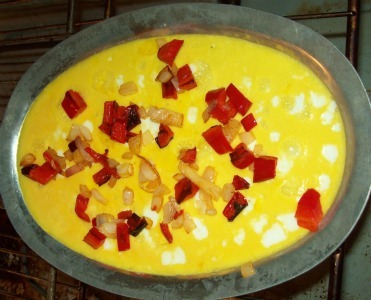 Then sprinkle the onions and/or bell peppers on top of the eggs. Place enough leftover nachos on top of the egg mixture to cover the top. 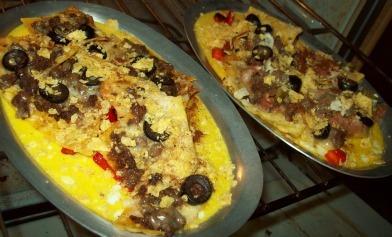 Crumble 3 or 4 tortilla chips in your hands and sprinkle evenly over the top. Lightly sprinkle a little chili powder across the top, if desired. Put the skillets or sizzling platters back in the oven on broil at 450 until hot again, just a minute or two. Serve immediately. Place roast, water, and seasonings in a heavy pan. Lay bacon strips on roast. Cover pan tightly. Simmer until nearly tender. Add vegetables and cook with the roast until all vegetables are tender (and meat thermometer should read at least 160ºF). Add sour cream. Heat but do not boil. Serve immediately. 3 pounds cooked elk meat (or other venison), ground or shredded. 1 large, or two medium microwaved, boiled or baked potato, peeled and grated (shredded in cheese grater). Mix all ingredients in a large bowl until formed into one cohesive mass. Warm about 40 6” corn tortillas in small amount of oil on both sides (The oil keeps them from falling apart. Put about one heaping teaspoon meat/potato mixture in each tortilla and roll up. Spray two cooking sheets with cooking spray. 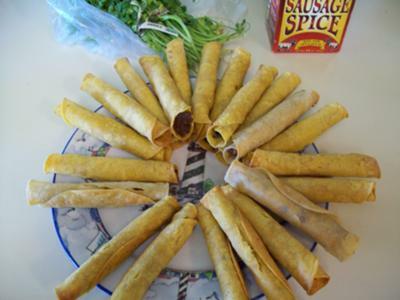 Align filled taquitos on baking sheet with opening end of tortilla down to avoid falling open. Bake at 400 degrees F for 30 minutes, or until tortillas are crispy and hold rolled shape. Serve enough for one meal with guacamole, hot sauce or your favorite warm cheese dip. 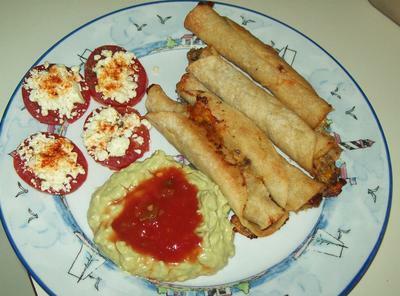 Store extra taquitos in freezer storage bags and reheat in oven at 425 degrees for 15-20 minutes, or until very hot. Brenda sometimes uses our Italian elk sausage for the filling. She leaves out the potatoes and tomato sauce. She adds some sour cream and grated cheddar cheese to the filling. Don't overdo those two ingredients. Just make it into a good looking consistency. How's that for a non-standardized recipe! Recipes are what YOU make them. She also sprinkles a little extra A.C. Leggs Old Plantation Italian Sausage Seasoning into the filling. (Enter code "7777" at checkout for a 10% discount.) This is the same seasoning we use to make our homemade Italian elk sausage, which seems to find its way into many of our dishes, including spaghetti sauce! Side dishes in photo above are guacamole, sliced tomatoes with feta cheese, seasoned with basil and oregano. I put cayenne on mine. Wimps can use paprika, but that would just be for looks. Bake them in the oven until cheese just starts to brown slightly. Gotta go get a plate full of Brenda's elk taquitos now! In a crock pot or large pot on the stove put a whole elk roast and cover with water. For crock pot, cook on high for 4 hours, or low for eight hours. On the stove cover and simmer on low for four hours or more. Remove roast from water and let excess water drain from meat. Discard water, or use as a stock for other recipes. Slice roast across the grain 1/2 to 1 inch thick. Use two forks to shred slices of meat. Put meat back into pot and pour you favorite BBQ sauce over it until desired saturation is achieved. Reheat and serve as sandwiches, or as an entree. Re-heating is not necessary, however, and can be served cold. Our favorite BBQ sauces are "Famous Dave's Sweet and Zesty" and "Bull's Eye Original". I wonder if I can find some of that around here in MT? rufus teague hot & spicythumbs up. Brenda hates onions. I love 'em! Add a lot more onions, if they treat you right. We call it "Dump and Taste". Forget about measuring. Just dump and taste. Cook meat with ¼ cup of onion, if desired. Brown elk roast or ground meat with onion and garlic, then set aside. In skillet, melt the butter and stir in flour to make a roux. Cook, stirring constantly on medium heat for about 5 minutes until a light brown color is reached. Add half and half, and then gradually add the milk until desired consistency is reached. Leave it slightly thinner than desired, as it will thicken up a little more. Add cooked elk roast slices or cooked ground meat to the pan stirring constantly. Add beef base and stir in well. Add salt & pepper to taste and cook until thoroughly heated. Serve over toast or English muffins. 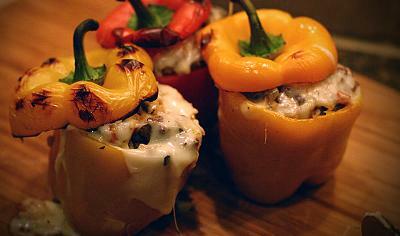 Boiling your bell peppers prior to cooking on the BBQ is what really makes this dish a success. The sweetness of the pepper and the elk meat, the carmelized onion infused by the BBQ… and then top it off with melted cheese. Wow… It’s delicious. Bring large pot of water to boil on high heat. While water is boiling, cut the top off peppers and remove seeds. Add salt to boiling water and submerge peppers in water until their flesh is soft, about 4-5 minutes. Remove from water and set aside. Heat 4 tablespoons of olive oil in large cast iron skillet. Add and cook chopped onions, mushrooms and garlic until soft and translucent. About 5 minutes. Add chopped tomatoes and cook for 1 minute. Add Marsala wine to mixture and cook for another 3 minutes. Remove mixture from skillet and set aside. Place skillet back on heat and continue to cook the Elk burger until done. Remove and set aside to cool. Pre-heat the barbeque to high temperature. Add the meat and rice to the onion-mushroom-tomato mixture. Add the oregeno, Worcestershire, salt and pepper and stir. Place cooled peppers next too each other on a large piece of tinfoil. Pull tinfoil around the sides of the peppers so that they are held tightly together. Stuff meat mixture into each pepper until topped off. Place a piece of Swiss Cheese on top of each filled pepper. Finish by placing the Pepper ‘top’ or ‘lid’ over Swiss Cheese. Place peppers in tinfoil direct on BBQ. Close lid and cook for 12-15 minutes or until cheese is full melted. I also prefer to have my peppers cooked directly on the grill. You can always remove the peppers from the foil once the meat is warm and continue to cook on direct heat. This is for use with ground elk. Rinse and wash with water and then marinade elk for a couple hours to reduce that "gamey" taste. The amount of next ingredients will be determined by the amount of ground elk. You want the dish to be proportioned and not overwhelmed by any of the added ingredients. This is an elk dish. Use fresh oranges,and squeeze the juice, usually it takes about 3 to 4 medium size oranges for a pound of elk. No pulp. Mix ingredients and let sit for approx. half an hour, periodically turning the meat over. Use a non-stick baking pan or use non-stick spray on the pan. Personally, I use butter. Place in the oven and check until desired color is achieved. Either rare, medium-rare or fully cooked whatever the preference. If you want a crust breadcrumbs can be used, however, if you do not wish to have a crust, when the dish is in the oven turn the meat early on, it helps to prevent sticking. I do know that some of this may be a little vague, but a lot has to do with the personal taste. I am giving the ingredients and the process. This dish should come out with a hint of orange to it. The elk should still be tasted. I made the dish and it was wonderful. What a great idea pairing up the two flavors. My family and friends loved it, I had picky eaters having a lot more than they usually have. Great Idea, thank you. Everyone is on the right track.If there is a distinct possibility of any "gameyness" the marinate does help, also I personally do like the taste, which is why I mentioned a hint of orange. At no point should you not know that you are eating elk, more than a few times I've had wild meat and couldn't tell what it was because they overpowered the dish. Thank you for the comments. The field dressing is important to the overall flavor of the elk. Yes. Me, too. We have had some rank tasting mule deer on occasion because it wasn't field dressed as fast as usual. We recently killed a big muley buck that was all swelled up and stinky during the rut. I was dreading it. Surprisingly, the meat was very mild. NEVER!!! I've always found it to be milder than beef. Now, Venison is a different story. ALWAYS BONE IT OUT just ASAP & you'll avoid that gamey taste. I simply don't experience gamey elk meat. 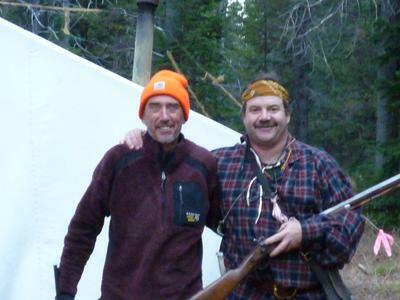 As long as it is handled properly, I don't find elk meat to be gamey. The exception might occassionally be one we kill in hot weather, but again, handling in the field makes all the difference in the world in regard to flavor. Tenderize w/ mallet or lightly w/ knife. Dredge steak in flour and pan fry in oil on skillet. Salt/pepper to taste. Pre-heat oven to 375deg. Pour mix over steak, cover, & bake in oven for 40min or until done. Sauce will make a nice gravy for potatoes. This recipe includes plenty of veggies and spice, but the secret is the bacon. Start by cooking the bacon and adding the elk halfway through. Put in a bowl once browned and set aside. Use the same pan to put in onions, garlic, celery, carrots and some olive oil. Cook until onions are translucent. Add peppers and mushrooms. Add meat back in. Add all tomato products and oil. Add spices, brown sugar and Worcestershire to taste. Simmer for two hours stirring occasionally. Even better the next day. 1 pound venison, cut 1/2-inch to 1 inch wide across the grain, then beat thinly with meat mallet. Cut these pieces into 1/2-inch strips. 1/2 teaspoon crushed red pepper flakes. 3 green onions, sliced crosswise into thirds. Pat venison dry and dredge in cornstarch, mixing and moving around so all pieces are evenly coated. Place meat in colander and shake off excess starch. In a deep-welled saucepan or large wok, heat half the oil over medium heat and add garlic and ginger. If the pan is hot, the pieces will begin popping and splattering all over right away. Immediately add soy sauce, water, brown sugar and pepper flakes. Cook sauce for roughly two minutes, then transfer to a bowl. Sauce will be relatively thin at this point, but should thicken up later when reintroduced with meat. Add remaining oil to wok and brown venison quickly (1-2 minutes). 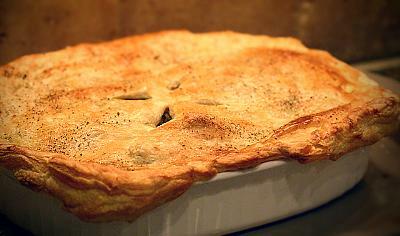 Cornstarch likely will create a crust on the bottom of the pan, but will come up after a good soak in the sink later. Pour sauce back into wok, as well as any vegetables steamed earlier on. Cook down sauce until it has reached the desired consistency. Add green onions at the very end. Brown meat. Chop and cook potatoes and carrots then add to meat with other vegetables. Add broth and seasonings. Simmer over heat for 1 hour. Add more or less cilantro to taste. I like a lot. This is good. And easy. I'm making it again tonight! This looks real, real good. I don't happen to care all that much for cilantro, but I doubt that not including it would make too much damage. temperatures for long periods of time or cooked with moist heat for shorter times. Use a meat thermometer to judge the doneness of game roast. Roast game to a minimum internal temperature of 160degrees for safety. First, always make sure your prep area, and all cooking aids are clean. Thoroughly mix all ingredients with the meat. When you think you’ve mixed enough, mix some more. Stuff meat/spice mix in any size casings you like. I prefer the small diameter casings. I use a Bradly Smoker. I preheat smoker to 120 degrees Fahrenheit. I loop pepperoni over 1 inch hardwood dowels positioned on the top rack. Let sit at 120 degrees Fahrenheit for an hour to dry the pepperoni casings. After 1 hour, increase temp to 160 degrees Fahrenheit. Let sit at this temp until the internal temp of the pepperoni reaches 142 degrees Fahrenheit. I use a digital meat thermometer to do this. This process takes 10 hours in my smoker. Remove from the smoker, and place in refrigerator until cooled. Pepperoni is ready to eat, or freeze. I vacuum seal and freeze the pepperoni in packs of 10; 8inch sticks so it’s always fresh. Note, This makes a 5 pound batch, I’ve tripled all ingredients and made up to a 15 pound batch at one time in my smoker. You can add a little smoke if you wish, I personally think it takes away from the flavour of the pepperoni. But that’s the great thing, you can play with the recipe and finish it to YOUR taste. Finally, I’d say this makes a med-hot pepperoni. I followed the recipe faithfully, way too hot. I threw out all of the sausage I made with this recipe. I think two tablespoons of cayenne pepper may be too much. I have learned to fry some sausage in the skillet before I put it into casings. I did not this time. My mistake. If I had tripled the meat it might have turned out alright. I won't try this again to find out though. This was my first attempt at making elk pepperoni. I decreased the cayenne to 3 tbsp - half the original amount called for. It's still spicy! I can't imagine how hot it would be with the full 6 tbsp. I also feed two small kids who need things mild. The recipe doesn't specify the amount of fat (if any) to be mixed into the ground elk. I did a 25% pork fat ratio, standard for all of my ground meat. For this recipe, I'd up that probably to 40% or so. The sausage has a lovely flavor but is pretty dry, hopefully the extra fat would moisten it up a bit. With the smoker at 160, it took three hours to get my sausages up to 160 internal. I'll definitely continue to use this recipe, with the changes I mentioned. The flavor is quite good! Have to have a smoker? This looks great. I'm wondering if it can be prepared in the oven, for those of us that don't have a smoker? Can't wait to try this one! Thanks. Cook for 4 hours on high, or 8 hours on low in the crock pot. Take meat out of pot, slice and put back into pot to serve. I know it sounds strange to put coffee in a roast, but it was great and the family kept filling their plate until it was gone! Use “Comments” to let me know what you thought of it. Did you change it to improve upon it? I just made this again and we really enjoyed it. I probably would prefer a little less lime juice, but it was still quite good! The lime was not overwhelming. I added enough water to cover the ingredients. I've made this 3 times in last few months it has turned out great each time. We use this mostly for deer, but works fine for Elk too. Use tougher portions of meat. Cube the meat up into about 1" cubes. Pack tightly to within 1" of the top of a pint canning jar. Add 1/4 teaspoon of powdered beef buillon and 1/4 teaspoon of canning salt. New flats should be prepped by immersing in boiling water. Remove flat from water, screw ring down snug. Put pint jars in pressure cooker and follow mfg instructions for amount of water. Process at 15# for 90 minutes. Will keep without refrigeration. Dump a jar in with noodles for a quick elk & noodles meal. Use in stew or anywhere else you would used cubed beef. 2. Mix flour and mustard in a bowl. Add browned meat to pot, sprinkle w/ flour mixture, mix and cook 2minutes to coat everything, stirring constantly. Add crushed juniper berries, Guinness, a couple bay leaves, the sugar and vinegar. Cover and cook 2 to 21/2 hours. 3. Drink your Guinness...it's good for you! 4. Make dumplings-Mix flour, baking soda and salt/pepper to taste. Add suet, horseradish, mix well. Add enough buttermilk to make a sticky dough. Spoon onto stew, cover and cook 'till well risen, 'bout 20 minutes. 4. Open another Guinness, serve hot (stew, NOT the Guinness!) and bask in the compliments! This is the family's all-time favorite venison and elk recipe, BUT, we're Irish as Paddy's Pig! boil elk in water till tender enough to pull apart with fork roll out your biscuit dough, slice in stripes dump in water cook another half hour, add milk, done. In a large sauté pan, combine ground meat, onion, and the next 4 ingredients (onion through jalapeño) to pan; cook 8 minutes or until browned, stirring to crumble. Add chili powder and the next 7 ingredients (chili powder through bay leaves)*, and cook for 1 minute, stirring constantly. In a large slow cooker, combine meat mixture with wine, tomatoes, and kidney beans; cover and cook on low for 6 hours or high for 4 hours. Uncover and discard the bay leaves. Sprinkle each serving with cheddar cheese, as desired. *Don?t have all the seasonings or short on time? Just use a low-sodium chili seasoning packet instead. Note: Like most chilis, this version tastes even better the next day. Leftovers can be put in single-serving containers and frozen (cool completely first! ), to be used for a quick lunch later, at work or at home. 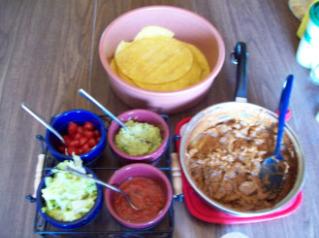 Spread some green or red salsa over the top of the burritos, moistening exposed tortilla so it won't dry out. Sprinkle a couple of tablespoons of cheese. Garnish with sliced black olives and diced tomatoes. Bake on oven safe plates (sizzling plates work great) or a pan in oven at 350 degrees until cheese is melted and bubbling. If desired, garnish with pico de gallo or shredded lettuce and serve with sliced ripe avocado.